La Sultana Oualidia | Discerning Collection. Hotels, Villas. La Sultana Oualidia sits in a location of great ecological importance, and is sheltered by cliffs and bordered by green pastureland and salt-water marshes. Perfectly integrated into its environment, the hotel has beautiful views of grass-roofed cabanas, the turquoise swimming pool and the shimmering blue lagoon. This is a sophisticated establishment on the edge of the Oualidia lagoon which has just eleven rooms and suites with private terrace and infinity pool. The three restaurants include local seafood specialities. A spa provides hammam, sauna, massages, Jacuzzi and gym. 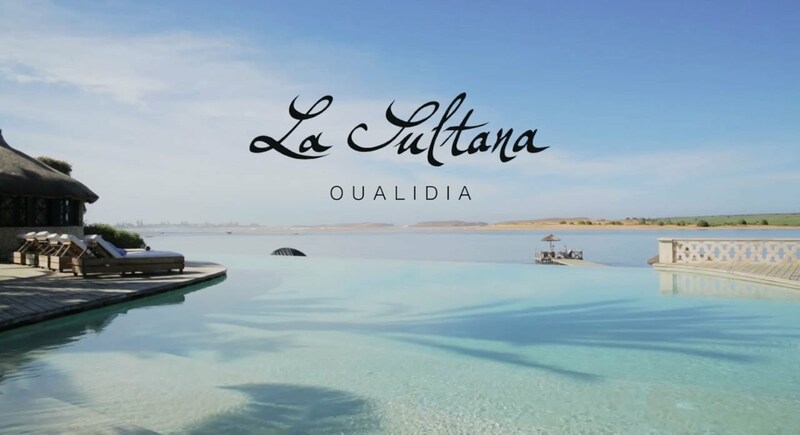 La Sultana Oualidia also ensures the comfort of its guests by being 100% sustainable in the use of water, thus helping ensure the long-term welfare of the fragile lagoon ecosystem. This is a marvellous destination for bird watching with a huge range of bird species including egrets, herons, and Ibis. Golf enthusiasts will find Royal Golf Club of El Jadida a superb 18-hole course. Take a boat trip around the shallow waters of the lagoon or simply laze by La Sultana’s infinity pool until dinner. La Sultana has a superb restaurant that specialises in seafood including lobster and local oysters, there are various places you can choose to dine, from the main restaurant, on the beach or even a romantic meal on the private jetty. There is an outdoor and indoor pool, both heated in cooler months, a traditional hammam, massage and beuty treatments, hairdressing salon, sauna, fitness room and massage cabins in the garden. La Sultana Oualidia also offers cookery classes for those interested in traditional Moroccan cuisine. The Prestige Deluxe rooms are 25 to 30 sqm and have views of the garden and countryside. The Junior Suites and Suites are 30-55 sqm and can sleep up to 3 guests, they have a view over the countryside and garden. The Deluxe Suites are 30 – 55 sqm and can sleep up to 4 guests, they have a view of the beautiful lagoon.